Near shore fishing has been great lately and should continue to be productive this month. 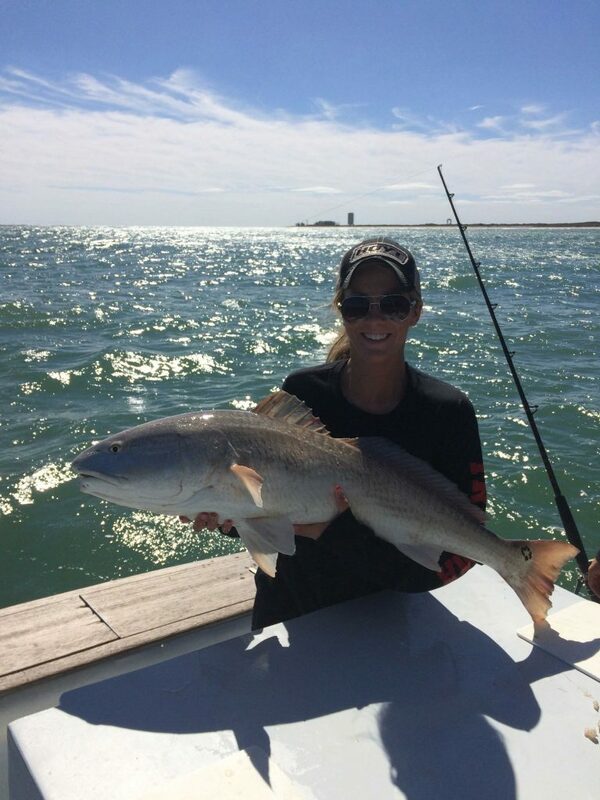 Massive schools of Redfish have been near the Port and around the tip of the Cape. Look for the birds diving as there is a good chance that they are on the fish. Redfish will eat anything you throw in the school and they’re all big fish! Use any type of dead chunk bait you can if you can’t find those bunkers! 4/0 circle hook with a slip sinker will do the trick. Many of my offshore trips have turned into port trips and beach trips during the west wind. Last year, February provided the best Cobia run of the season. Take advantage of those sunny days and go look around. I know it sounds like a cliché but straight out of the port and around buoy 2/4 have always been a productive area around 35 foot depths…Patrick has always been a productive area too. If you are down around Patrick try the 45/50 foot range.